Victoria Monjo is an aspiring architect residing in New York City. Born in the Czech Republic, Victoria grew up in New York and received her Bachelor in English and Art History from Columbia University. She is currently in the process of finishing a Masters Degree in Architecture at Columbia.Before switching to architecture, Victoria was in the business of magazine publishing. Her experience includes editing and designing a group of trade apparel publications. She has written and photographed for The Architect's Newspaper, among other publications. In the future, Victoria hopes to marry her journalism experience and design ambitions for a satisfying career in architecture. Besides photography, her hobbies include painting and running. 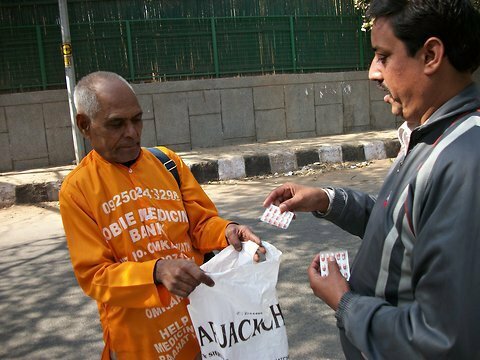 From the New York Times: The “Medicine Baba,” Omkar Nath Sharma, 75, spends his days knocking on doors in Delhi’s upper and middle class neighborhoods, collecting their leftover medicines and giving them to the poor. A former state investigator looking into Google’s Street View has identified the so-called Engineer Doe. I was interested in exploring mobility as a way of making one aspect of daily city life more efficient and flexible, creating stacked functionality.This is a city where many parents rely on hired childcare rather than on an extended family network. Since schedules change, babysitters cancel and emergencies arise, the mobile babysitting service is the answer for those situations. The truck is equipped to pick up children wherever they are, be it preschool, a friend’s house, or home—and babysit and entertain them. Because the service is mobile, it can pick up and deliver children all over the city on short notice. It’s part child-delivery, part playground and babysitting all rolled into one. ny•city3 (cubed) is a network services akin to FreshDirect, but rather than delivering groceries, it alleviate the problem of “schlepping" personal belongings around the city. Since most New Yorkers live, work, work-out and go-out in places that are not near each other, or near ones home, one will see on any given day a plethora of commuters overburdened with carrying their laptops, their gym clothes, the change of clothes for ‘after-work’ and maybe even the shopping they did during their lunch hour. NYC3 picks-up and delivers all the things you will need throughout the day and deposits them where you will need them: at work, or at the gym and then brings them back home. It’s simple, it’s easy, it’s delightful: it’s ny•city3 (cubed). 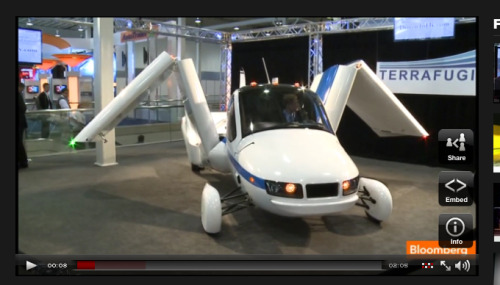 The flying car, dubbed Terrafugia Transition was unveiled at the New York Auto Show. Prices start at $279,000. 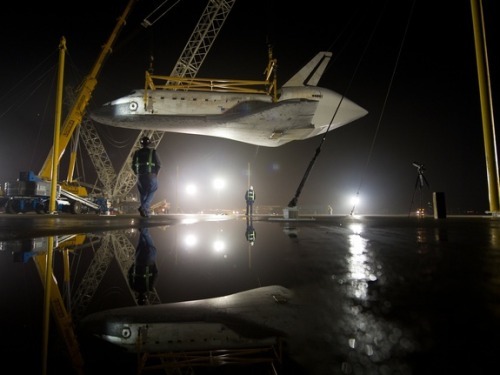 Space shuttle Discovery being moved to the National Air and Space Museum. 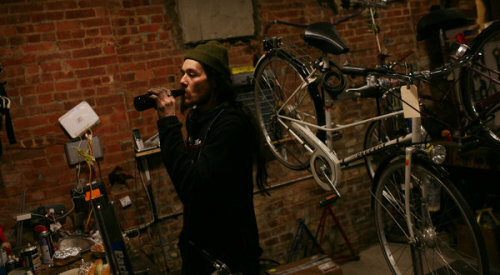 The New York Times published a story today about Red Lantern Bicycles, a bike shop in Fort Greene, Brooklyn. Besides fixing bikes, the store serves alcohol thanks to owning a liquor license. It’s a funny concept: presumably the people biked in…are they allowed to bike out? On finally finding a an insurance company that would cover them and the limits it set: “we’re not allowed to do rentals, and we cannot hire a bouncer." "Overseas, bicycle and drinking cultures have long mixed freely. (In the Netherlands, riding to a bar is practically the national pastime.)"